Your Solar Panel Warranty : What you need to know before buying. What warranty are you really getting? This guest post has been written by solar industry insider: Eric Nicholas, CEO of Jim’s Solar. Here Eric explains everything you need to know to make a fair comparison of solar panel warranties, solar inverter warranties, and solar installation warranties. When buying a PV system one of the most important things you will need to consider is the warranty being offered by each Installer. There seems to be a lot of confusion when speaking with our potential customers as to what exactly they are getting in relation to their warranty. We find most people when asked the question will say something like “ the sales guy from the other Company said that their system has a 25 year warranty”. Panel product warranty – typically 5 or 10 years. The performance warranty is to warrant the degradation of the cells over 25 years. The manufacturer may state that the performance will only reduce by say 10% after the first 10 years and then another 10% over the next 15 years. You will find that this warranty is fairly standard across most manufacturers. Performance Warranty Warning: Many solar industry insiders consider the performance warranty practically worthless, little more than a marketing exercise. This is because it is very easy for the manufacturer to wriggle out of it. But fear not – there is a solar panel warranty that you can rely on. The product warranty. The product warranty is to cover defective materials or workmanship in the manufacture of the Panel. It is provided by the manufacturer of the Panel, not the solar installation company. It is very important that your panels’ product warranty is at least 10 years. If you were to make a claim for faulty performance or worse, no output at all, you can be assured you will be covered under the product warranty. As touched upon earlier, it is critical to realize that most companies that spruik a “25 year warranty”, are talking about the performance warranty. This means that any faults due to poor workmanship or materials can be argued by the panel manufacturer to be only covered under the product warranty, which in some cases may only be 5 years. So please make sure you check the type of warranty before buying. Some manufacturers will back their warranty with an insurance Company. This is to give the consumer the peace of mind that if anything were to happen to the Company, they will still have their warranty. I am not aware of any claims being made to date so cannot comment on whether this is something to consider when making your purchase. 2) How long has the Company been manufacturing Solar panels? 3) Production volume will give an indication of size of the manufacturer. Bigger manufacurers are generally higher quality and less likely to go broke. The inverter warranty is probably the most important warranty you will need. The reason for this is because this is the component of your system that is most likely to fail. They are working day in, day out at high voltage. Inverters generally will have a 5 year warranty. Upgrades to 10 years are available with some brands depending on the manufacturer. Reliability can vary and in some cases can be difficult to determine when faced with all the different brands on the market. Be sure your installer positions the inverter correctly with adequate ventilation. If it is not installed as per the manufacturer’s specifications your warranty will be void. I have seen indoor inverters mounted outdoors without a weatherproof enclosure. The other common error is the installer has mounted the inverter too close to the adjacent wall, not leaving the required 200mm to allow the unit to dissipate heat. Ventilation is very important particularly with the inverters that have a transformer. In situations like this, you will need to contact your installer to cover the necessary repairs and to reinstall the unit according to the installation manual. 2) Do they offer a “Replacement” warranty? 3) Do they have a service centre in Australia? 4) How long has the Company been manufacturing Inverters? The final warranty, the installation warranty, is also very important. You need to assess what will you be charged for in case of a breakdown. It is the Company’s policy that is important here. Will you have to pay for a service call if one of the components fails? Does the Company take care of the entire system if there is any problem? You will find this warranty can vary significantly between installers. The determining factor can be whether the Company uses their own electricians, or contractors. You may find with the latter, the warranty will generally be a shorter period and response times to a warranty claim may take a lot longer. In this case, it is more important to use a local installer. Ask your installer if the installation warranty includes call out fees. If you have a situation where a $2.00 component like a circuit breaker is faulty, a service technician may want to charge for a call out, even within the warranty period. Personally, I believe that service calls like this should not be charged for. Also ask your installer if the installation includes a “Back to Base” warranty. 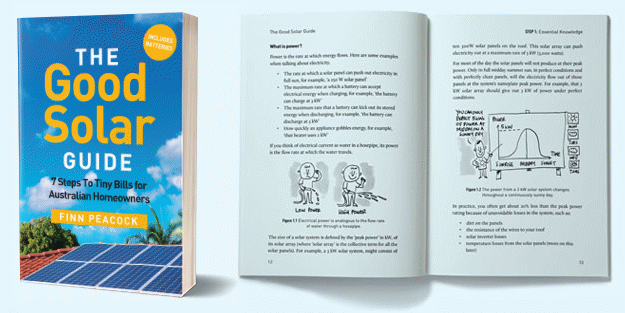 “Back to base” means that if any component of the PV system you have purchased is faulty, it is up to you to remove and return the goods to the manufacturer for repair. It is also then up to you to have the product reinstalled, at your cost. You really don’t want to foot the bill for the removal and refitting of a panel or inverter. Solar accredited electricians are expensive – I should know, I have enough on my payroll! The length of the installation warranty also tells a lot about how confident the installation company is in the quality of their installation. 1) What is the period of the installation warranty? 2) What exactly does it cover? 3) What is there average response time for a call out? 4) What is the warranty on the cables and components they will use on your installation? Spending a bit of time examining the warranties you have been offered will give you a good insight into how all the different companies operate. This may help you to make your mind up about whom to place your order with, so you have more to consider than just the price tag. I understand it can be a little confusing when entering into the world of Solar, but it really shouldn’t be. Finally, remember to read all paperwork before you sign and don’t be afraid to pepper the salesperson with lots of questions if anything at all is not clear. Next Article: WA Labor on solar power: trick or treat? I think you’ll enjoy my rant in the video linked to above! Personally I’m not a fan of True Value Solar. If you do some Googling of “True Value Solar Complaints” and “True Value Solar ACCC”, you’ll see why. Some people say that their bad behaviour is all in the past and that they are better these days. I’m yet to be convinced. Expect to pay $300-$600 for connection. Also they used to insist that you paid a regular “maintenance fee” to keep the installation warranty which was hundreds of dollars every year or so. Check whether they still do this – as it is not needed and will eat into your payback! Whatever you do – I’d recommend getting other quotes to compare. Hi Finn, I have been waiting for a container to arrive with some Seraphim Panels. When I ordered them they were 40mm thick and the panels that have arrived are 35mm thick, was told this is because the company wanted to make the panels more appealing on the roof. I’m wondering if a thinner panel will perform the same? I’m guessing that the 5mm reduction is in the aluminium frame? If so – that should not affect performance. It might make the panels a little less rigid though – so be careful they don’t flex too much under installation and damage the cells. Thanks for the reply Finn, My main concern is that the panels were supposed to be 19.5kg , the panels that arrived have a sticker saying 18.5kg and when I weighted one it was 17.8kg. Does the weight of a panel reflect the performance , meaning less silicone, less weight, less performance. I don’t think it will affect the performance. The weight savings are probably structural, rather than silicon. You would have to remove a huge percentage of silicon to remove 1.7kg as the cells are only about 1 mm thick. Hi Finn, I know your not a fan of tilt panels but I need to lift 12 / 250w panels from my south facing roof to face north. Is there any type of tilt kits that you might recommend. I live in Mackay Qld ( 2 km from coast), my roof is 22deg so will need to lift them 44deg to face north to slope the same as the north facing panels, unless it is better to lift to a different angle. On the performance warranty of the panels would it not be easier to monitor / prove performance out side of the gamut by using micro inverters? or are they that slippery that the performance warranty really is just marketing fluff? Good Point. Micro inverters definitely make it a lot easier to prove performance issues – yes. I think a panel manufacturer would be hard pressed to argue with the reading from an Enphase monitoring system. Australian Consumer Law is definitely on your side here as well. Risen have a 12 year product warranty while Jinko have 10. The extra two years is nice but I doubt there is a lot of difference between the panels.